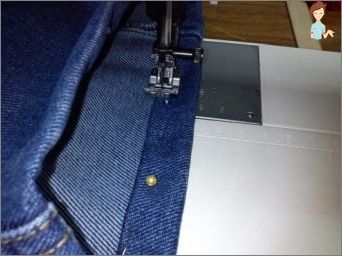 Home / Needlework How to sew jeans? How to take in jeans? Ideal figure sitting on jeans - every girl's dream, but to get them is extremely difficult. Find out how to fit in their jeans fit and look at them all the best! New jeans turned out to be great or maybeThe diet finally brought fruit and the figure began to decrease, and clothes increase? In this case, pants will have to be sutured. There are several ways how to sew jeans. If the pants sit well on the hips and calves, butLarge at the waist, you can sew them on the back seam and girdle. If the jeans are bigger by the size, then the sutures should be seamed at the side seams. If you just want to zuzit them to the bottom, you can suture on the inside. How to sew jeans in your belt? Girls with a narrow waist and wide hips difficultPick up perfectly fitting jeans. As a rule, they are wide in the belt and need to be sewn. 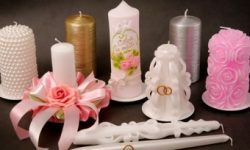 There are two ways to reduce the products in the belt. The easiest way to make a dart on the waist. They can be two, three or more. First you need to flap the belt, then flash itTuck and re-sew the belt, previously reducing it to the desired length. Very carefully you need to do darts in the priests area, if they are too long, then the priest can pull himself up. The second way, how to sew jeans at the waist, moreComplex and long, but also more qualitative. First, you need to turn back the back of the loophole and tear the belt 8 to 10 centimeters in each side of the middle seam. Next, break the step joint (the one between the legs) by about 8-9 centimeters. Spread the middle one, but do not unfold it, but pin it with pins so that it does not move. From the wrong side, it is necessary to fix the seam with pins. Now you can get the pins from the front side. The seam should be stripped off with an iron. Put your pants together, back off fromMiddle seam on the waist line 2 centimeters and draw a line so that the triangle is formed, i.e. Not parallel but at a slight angle. On this line, you need to make a line, sweep the edge. Turn it to the front and give two lines in the middle. Next sew the seam from the wrong side andFacial recover double line. Belt cut in half, attach to the jeans, the excess from both parts cut off, leaving the allowances. Then it should be folded with its faces, stitched, unfold the seam on two sides and steam off with an iron. Combine the belt and the rest with pins and stitch. Sew back the loafer. Sew pants in the hips at the side seams. To do this, you need to put them on the wrong side and pin the distance to be removed. Or you can just attach the right size trousers and draw a line through them. Before you begin the process of reduction in the hips, you need to turn the belt. Then rip off the sides, sew them according to the new measures. Sew back the belt. If you need to sew jeans in both the hips and waist, you can not strip the belt, and completely rip off the pants on each side and stitch it in a new way. Surplus the edges, sweep the edges. It is even easier to make darts on the sides. So jeans will become a little less in the hips and it's better to sit on the figure. This method is suitable only for thin fabric, because the thick darts will be very noticeable. Fashion is very changeable, not so long ago in the trendThere were flared models of trousers, now everyone wears narrow ones. Throw old, but your favorite pants do not want to, and appearing in them on the street is uncomfortable. In this case, you need to know how to sew jeans in your legs. 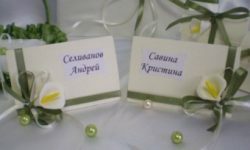 It is recommended to put them on their collars andUsing pins to fix almost on the legs, leaving a few centimeters for shrinkage after washing. Gently remove the pants and put on the table. Sweep by pins, try on, if you sit perfectly, cut off excess and stitch it. The edges are treated with an overlock or zigzag. It is not recommended for beginner masters when sewing trousers in the legs to break them in the crotch area, since it is difficult to sew correctly. 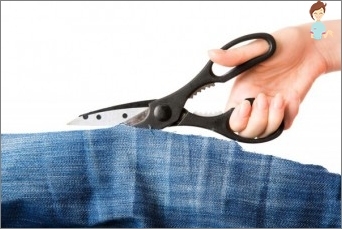 If you need to remove a lot of excess fabric, it is better to go to repair clothes. If the pants are wide not only in the calves, but also the hips, then the jeans are sutured along the lateral seams. You can customize them on a figure on themselves or on their other jeans that sit well. If the product is very large, you canCompletely alter it. To do this, you need to tear off the pants along the lateral seams, in the center, to flip the belt. Attach a pattern or trousers of the right size, completely ripped apart. Redraw details and sweep. Try it on, and if everything is good - you can startTailoring. First, the front seam is spread out, then the back and side seams. 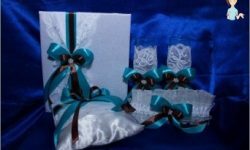 Particular attention should be paid to the internal seams, it is difficult to combine the perineum, it is better to sew it first manually, and then stitch it. 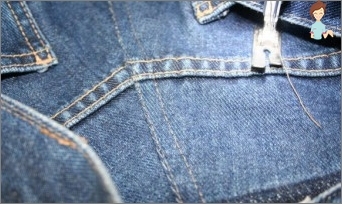 After the jeans are collected, you need to put them on the bottom and sew a belt, belt loops. If you doubt your abilities - it is better to turn to specialists or practice on cheaper models. I wish you success!